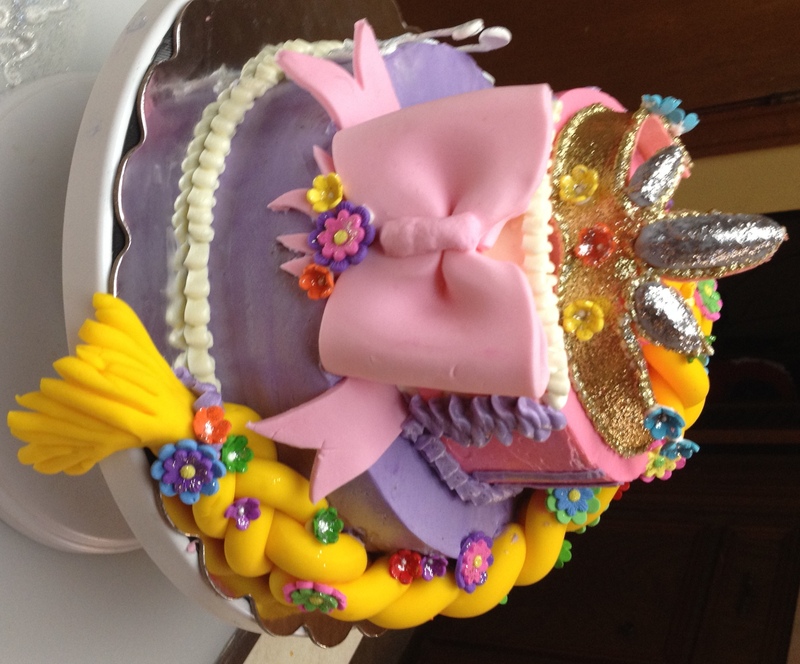 This two-tiered design was for an adorable blonde 6-year-old Rapunzel fan. The wedding cake flavored cakes were coated in buttercream with piped buttercream details. The sparkling crown was hand sculpted from fondant using the crown from Tangled, the movie, as inspiration. Once dry, the crown was painted with gold and silver edible glitter and adorned with molded flowers. The huge pink bow is hand-molded fondant. Rapunzel’s signature braid was fashioned from yellow fondant that was rolled and then braided. Once on the cake, the braid was accented with molded flowers, much like Rapunzel’s braid in the movie. All of the flowers were then given a dusting of edible glitter. 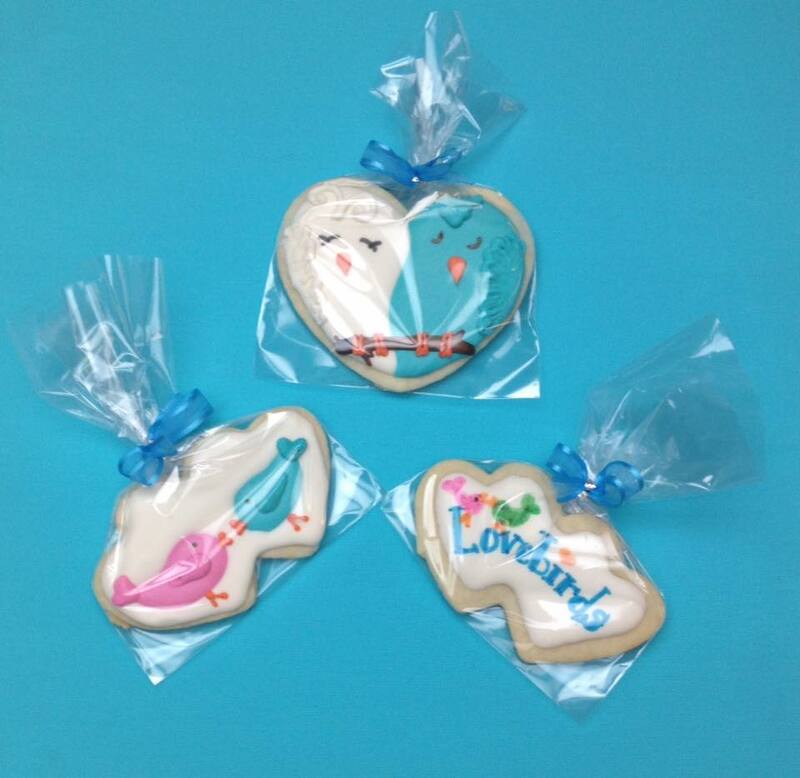 I also made coordinating Paschal cookies as party favors. Posted in UncategorizedTagged birthday, buttercream, cakes, flowers, fondant, girl, Rapunzel, TangledBookmark the permalink.